Welcome to Real Life. The nativity story—angels, shepherds, manger, young couple, and newborn baby Jesus—is as warm and tender as a Hallmark moment. But, did it feel warm and tender to Mary? “Don’t be afraid, Mary, you have found favor with God. 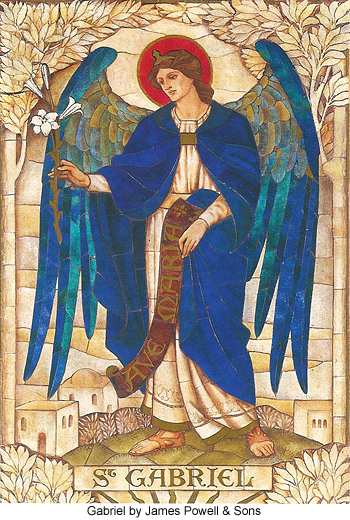 Gabriel’s message radically altered Mary’s destiny. She, a virgin, engaged to Joseph, would soon be with child. It was a miracle—never before, never again repeated. I wonder at what point Mary considered how others would respond to her unplanned, unwed pregnancy. Did her mother cry at the news? Joseph, heartsick at her assumed betrayal, almost broke off their engagement. Did neighbors and friends gossip? No angel had appeared to them. Some of Joseph’s relatives must have traveled to Bethlehem to register for the census. Yet, no one shared lodgings with him and his young wife ready to birth a child whose conception predated their wedding. No, the King of Kings took his first breath in a shelter for livestock. Today, we honor Mary’s pure, selfless devotion. For, we know the end of the story. But, Mary believed without seeing. I am awed by her faith. She trusted that God's will is good, even when it looks bad. Though I saw no angel, 37 years ago today, God sent me a message through a humble preacher. “Invite Christ into your life.” I didn't fully understand what it meant. But, I knew it was God. And, I welcomed Christ in. I was sixteen—perhaps the same age as Mary when Gabriel visited her. Welcoming Jesus radically altered my destiny as well. Not everyone understood. My mother shed tears. Though she delighted in my spiritual awakening, she wished it had happened in her traditional church, the one I was raised in. Friends were baffled at my changed priorities. People whispered, kept their distance. We like to wrap the Christmas story in a neat package. However, as beautiful as it is when God invades a life, it can also be messy—like childbirth in a manger. People misunderstand. Jesus doesn't come as we expected. Yet, in the end, God's will is always good. All these years later, do I still welcome you, Jesus? Even if people misunderstand and life gets messy? Do I believe your will is always good? Oh come to my heart, Lord Jesus. There is room in my heart for thee. Watch "Jesus' birth" from The Nativity Story. Has Jesus come into your life in an unexpected way? I'd love to know. This article, short and sweet, tells the message loud and clear with clarity and heart. Yes, we do see the end of the story with Mary and we can all sing of the Virgin Mary that had the baby boy, but none of us was there when it happened. A life with God is a life of adventure, but it is also a life of going against the norms and standing tall when others are bending down trying not to be seen. It make s me think of that scripture from 2 Timothy 2: 11-12 that says, If we deny him, He will also deny us. If we are faithless, He remains faithful: He cannot deny himself. I thank you for this encouraging article. I so appreciate you taking the time to read my blog and comment during this busy Christmas season! I am always blessed by your words of wisdom and encouragement.